…Hurray! 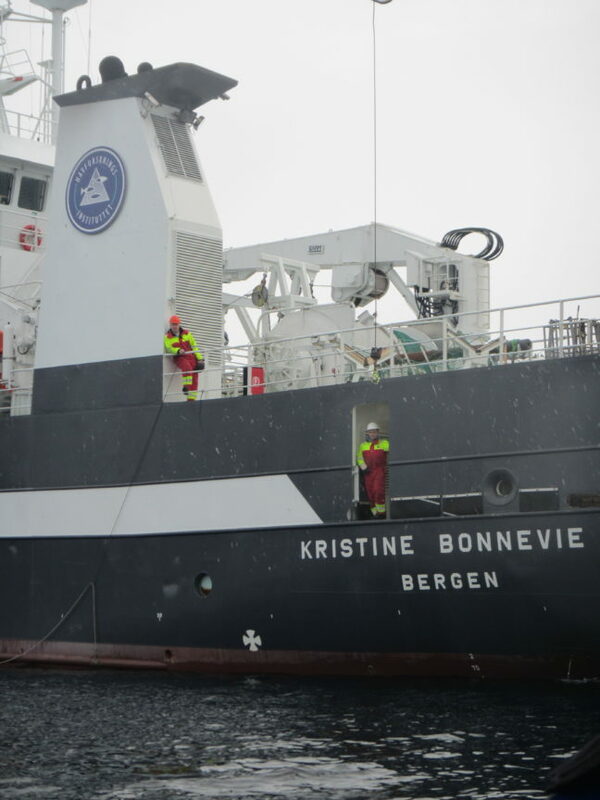 We got money from the university to send Nadine (and some instrumentation) onboard “Kronprins Håkon” (KPH amongst friends) to Antarctica next season! KPH is the brand new Norwegian icebreaker and she will sail down to Dronning Maud Land and Fimbullisen in February, 2019. 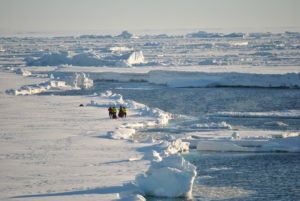 Fimbullisen is a relatively small ice shelf that overhangs the continental slope in the eastern Weddell Sea. 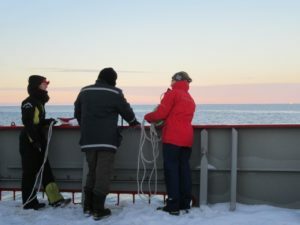 The Norwegian Polar Institute (NPI) has three sub-ice shelf moorings installed there, and two years ago we added an APRES (a handy little thing that you place on top of the ice to measure time series of ice shelf thickness from which one can infer the basal melt rate) to one of their sites. 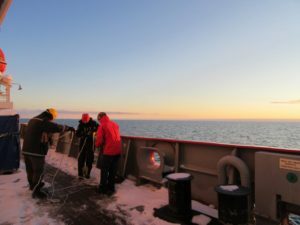 The plan is now to – in collaboration with NPI – also measure what happens outside of the ice shelf cavity. 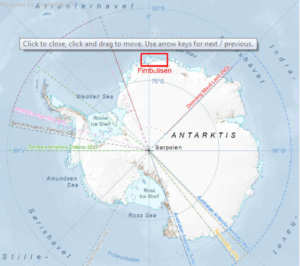 Map over Antarctica with the Fimbull ice shelf marked in red. From npolar.no. 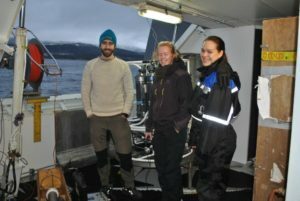 Going on a scientific cruise is mostly exciting, interesting and fun, but it is also linked to risks. 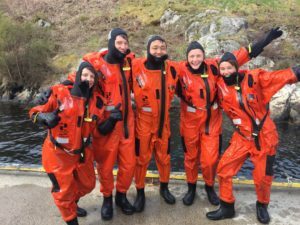 I participated in a survival suit course that prepares us for emergencies on the ship during which we have to use floating suites and life rafts to survive in cold waters far away from help. 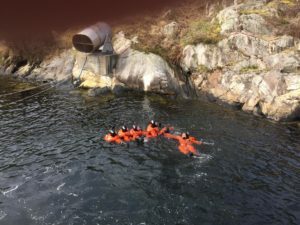 During the training we learned how to handle the suits, swim in them, build formations to stay close together and how to enter a life raft that contains all survival equipment. It was a lot of fun and we are now well prepared for our next cruise! 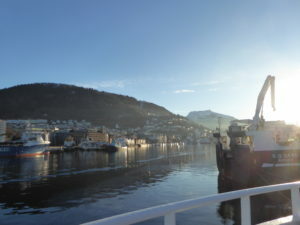 I’m still in the Bjørnafjord doing one last section before we head back to Bergen – but I just had a report from Svein Østerhus and Polarstern. 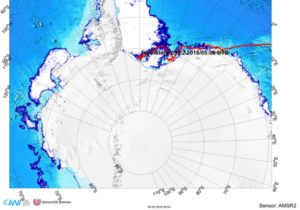 They are now just north of the front of the Ronne Ice shelf in the Weddell Sea. 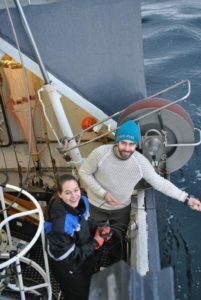 Polarstern in the Weddell Sea. 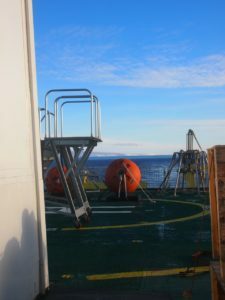 While being in the vicinity of the ice shelf front, Svein will deploy a couple of temperature recording LoTUS bouys (see previous post) within the ice shelf front polynya* for me. These will remain five years at the bottom before surfacing… so be patient! 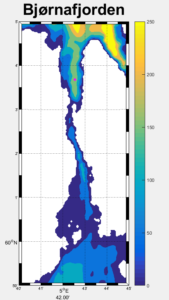 *a polynya is an area within otherwise ice covered water. Tidal currents and wind typically keep the area just in front of the ice shelf front ice free during summer, and often also during winter. 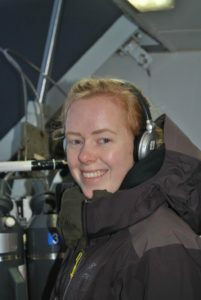 A birthday present from the Weddell Sea! 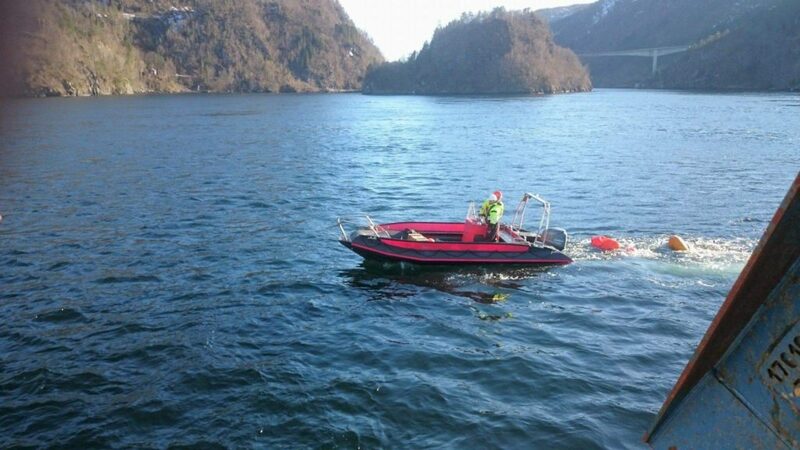 which means that at least one of the LoTUS buoys that I deployed last year did what it was told and surfaced today! 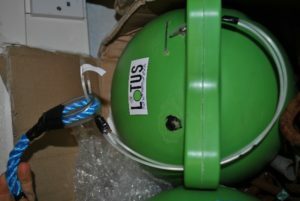 LoTUS stands for “Long Term Underwater Sensing” and it is a bottomlander that you more or less through over the side of the ship. It sinks to the bottom, where it measures the tempearture until it is programmed to let og of its weight and come to the surface. 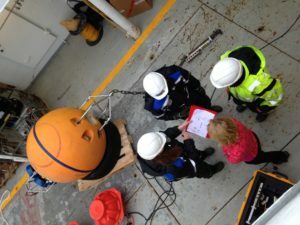 Once at the surface, it transmits the data back to us in the office via satellite. Very nice! 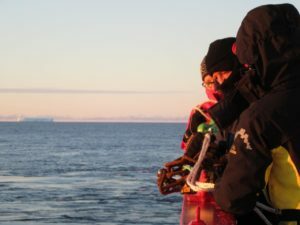 The number in the Message above are as in-understandable to me as they are to you – but hopefully the instrument devellopers from KTH will be able to transform them into understandable data… a one year long temperature record from a location just north of the Filchner Ice Shelf front in the Weddell Sea! There was one more buoy that was programmed to come up today and which didn’t yet report home – so keep your finger’s crossed! 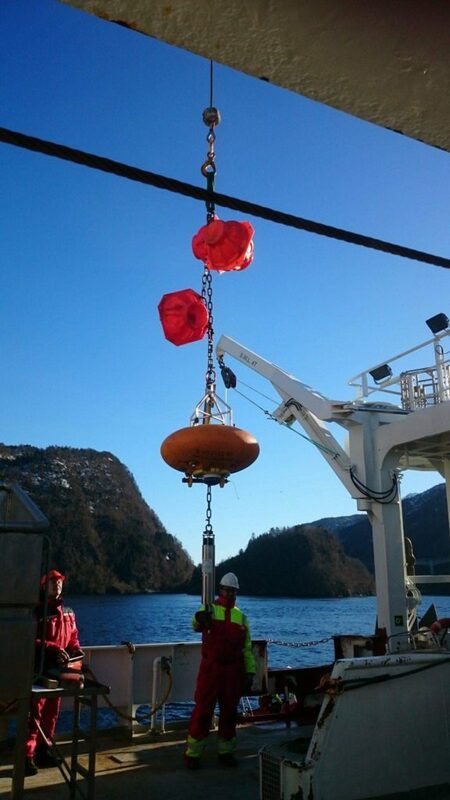 A collegaue of mine, Svein Østerhus, is currently onboard Polarstern in the Weddell Sea, and he will deploy more of these buoys for me later during the cruise! … and off it goes!